A combination of 7 Seasonal fruits of different types, such as bananas, grapes, oranges, kiwis, apples, pears, peaches, plums, nectarines, apricots or what might be seasonally available at the particular time of year. 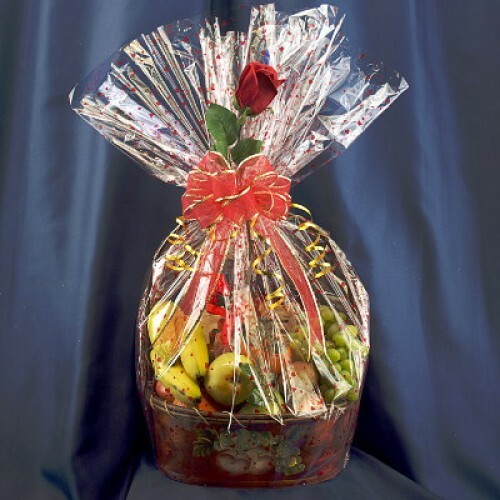 * You may request the addition of other products to enhance your gift basket and make it perfect for the person you are purchasing it for by adding their favorite items, as well as wine, beer, coolers, flowers or other items you have in mind. For inquiries please e-mail info@kelownabaskets.com or call Toll Free 1-877-317-6767 or locally 250-317-6767 for information.